A PhD Scholarship in “Fisheries effects on sandy habitats” is available at the National Institute of Aquatic Resources (DTU Aqua) with starting date 1 December 2018. The PhD project will be carried out at the Section for Ecosystem-based Management, in Lyngby, Denmark. DTU Aqua is an institute at the Technical University of Denmark. Commercial fishing with mobile bottom-contacting gear is one of the major anthropogenic activities affecting marine ecosystems. Short term impacts on the seabed include physical disturbance, resuspension of sediments, mortality of benthic fauna, and alteration of habitat structures, while long term impacts may include changes in community composition and function, and reductions in habitat complexity. Assessment of the benthic effects and by-catch of fishing is a central component in ecosystem based fisheries management. In European waters substantial research efforts have been undertaken to investigate fishing effects and identify potential mitigation measures and sustainability targets as part of the implementation of international policies, directives and conservation conventions. Mitigation approaches have mostly focused on gear-oriented innovations (e.g. introducing pelagic doors in demersal otter trawling) and area closures, but also the potential of so-called smart fishing (optimizing resource availability through effort-refinement; e.g. choice of fishing season, area, time of day) is increasingly being explored. In areas also affected by other types of anthropogenic pressure, such as increased nutrient loadings, effects of fishery may be difficult to disentangle from these as well as from the influence of natural pressures (e.g. tidal currents and waves). A central research component of the PhD project is the quantification of short-term benthic impacts of two gear types that are frequently deployed on sandbanks by Danish fishermen; anchored seines targeting mainly plaice (Pleuronectes platessa) and otter trawls targeting sandeel (Ammodytes marinus). Benthic fauna data exist for analysing sandeel otter trawl impacts for two different gears; a sandeel trawl with standard demersal doors and a similar gear with pelagic doors. For the anchored seine gear new data need to be sampled and analysed, and this requires the PhD student to plan and conduct field work that will enable a quantitative impact analysis. A general complication of such fisheries impact analyses is the presence and influence of other anthropogenic as well as natural pressures, and another key component of the project will be to assess impacts from these other pressures. Master of Science (M.Sc.) degree in Aquatic Science & Technology, Marine Biology or similar. Previous experience in marine, aquatic or ecological research. Experience with laboratory work, including sample sorting/processing and identification of benthic invertebrates to species level. Keen interest in research and for working within the field of marine biology and fisheries sciences. Mathematical or modelling skills and experience with R-programming will be advantageous. The assessment of the applicants will be made by Senior Research Scientist Ole Ritzau Eigaard, Special Consultant Grete E. Dinesen and Professor J. Rasmus Nielsen, DTU Aqua. General information may be obtained from Rikke Hansen, rikh@aqua.dtu.dk (+45) 3588 3001. Please submit your online application no later than 21 October 2018. Research Mathematical Statistician, ZP-1529-3/4 ). The duty station can be at any of the 5 main labs in the Southeast Science Center (Miami, Beaufort, Galveston, Pascagoula, Panama City). The MAP and DE announcements for one Research Mathematical Statistician, ZP-1529-3/4,position have been posted. The announcement will be open for 14 days; it is set to open on 9/10/18and close on 9/24/18. Welcome to our e-mail service for jobseekers. Please find below links for the latest vacancies at DTU. Click on the individual vacancy to read more. As in the past, the World Conference on Natural Resource Modeling (WCNRM) brought together scientists and stakeholders interested in mathematical and numerical modeling of renewable and exhaustible resources. The WCNRM provided a forum for exchanging ideas on modeling issues related to environmental and natural resources. The WCNRM 2018 was co-organized by Resource Modeling Association and South China Agricultural University. 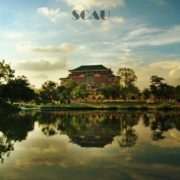 Held on June 9-13, 2018 in Guangzhou, China, the theme of the conference was biodiversity conservation and sustainable development. The main aim of this theme was to look for socio- ecological solutions, especially in developing countries where economic growth and environmental quality are competing objectives. The conference focussed particular attention on biodiversity conservation, ecological resilience, management of the protected areas, and sustainable utilization of natural resources. Please pass this on to any qualified students who may be interested. I have available two four-year funded PhD scholarships to work with me at the Australian Institute of Marine Science (AIMS) and James Cook University, Townsville, Queensland, on projects relating to modelling the Great Barrier Reef. In addition to the eligibility requirements, I am looking for students who have a strong quantitative background, some programming experience, and an interest in marine science. These are very well supported PhD scholarships and AIMS is a world-leader in tropical marine science and a great place to work. I'd be happy for students to contact me with any questions. Under the Fisheries Act 1995, the Victorian Fisheries Authority (VFA) is responsible for the stewardship, protection and conservation of Victoria’s fisheries resources and for ensuring that the management and use of these resources is effected in an objective, efficient and ecologically sustainable manner. The VFA is seeking a suitably qualified supplier(s) to undertake scientific assessments of the blacklip and greenlip abalone commercial fisheries, which are important economic contributors to the Victorian community, with the commercial sector exporting approximately $20 million worth of product annually, and supporting a regional work force throughout the State.